Crashed and burned in a field due to unknown circumstances. Reagan Kyle “Shaggy” Whitlow, 45, of Austin, passed away September 26, 2018, in a single engine plane crash near his home. He was born January 24, 1973 in Albuquerque, New Mexico to Gary and Beryl Blair Whitlow. Reagan grew up in Jones Creek, Texas, was a 1991 graduate of Brazosport High School, 1995 graduate of the United States Air Force Academy, and earned a Master’s degree from Embry-Riddle Aeronautical University. He was a man of Christ who enjoyed mission trips to Central America. Reagan was an active member of Fellowship Bible Church, a loving foster parent and an Eagle Scout. 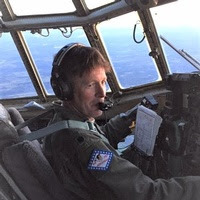 His hobbies and interests included being a Boy Scout leader, assistant dive instructor, duck hunter, soccer coach, C-130 Instructor Pilot, big game hunter, wakeboarding and mentor to many. He loved hiking, backpacking, traveling, and was known far and wide for his ability to tell a good story...no matter how long it took. Reagan was awarded the 2006 189th Outstanding Officer of the Year and Distinguished Graduate of the United States Air Force C-130 Weapons Instructor Course. He was preceded in death by his father, Gary Whitlow. Survivors include his high school sweetheart and wife of twenty-two years, Deeanne Whitlow; daughter, Haylee Whitlow; sons, Kale and Koby Whitlow; mother, Beryl Whitlow; sister and brother-in-law, Shana and Scott Obermiller; parents-in-law, Terry and Pam Starnes; sister-in-law, Shannon Starnes; brother-in-law, Tyler Kersten; nephews, Joseph Lindsey, Lance Massoletti, Jacob Kirby and Caleb Obermiller. Memorial services will be 2:00 p.m., Monday, October 1, 2018 at New Life Church, 3400 West Main Street, Cabot, Arkansas. Interment will be 9:00 a.m., Tuesday, October 2, 2018 at Arkansas State Veterans Cemetery. A memorial fund has been set up at the following link: Voodooassociation.org. Arrangements by Moore’s Cabot Funeral Home, 501-843-5816. LONOKE COUNTY, Ark. - A man is dead after a plane he was flying crashed in Lonoke County. It happened on Hickory Hills Drive off Highway 5. After the plane crashed, the Ward Fire Department put out the flames. The Sheriff's office confirmed the pilot, Reagan Whitlow, 45, was a retired Lt. Colonel from the Air Force. The Lonoke County Sheriff's Office and the FAA were on the scene Wednesday afternoon. They will continue to stand by until The National Transportation Safety Board arrives. "Today at approximately 2:40 we got a call about a small plane crash and deputies were dispatched out," Cpt. David Bufford said. Hickory Hills Drive off Highway off Highway 5 was turned into a crime scene after a fatal plane crash Wednesday afternoon. "Anything like this car crashes, kids its always hard on us. We have to put aside for a while and we just kind of gone home and talk to our loved ones and hug them and uh just kind of deal with it in our own ways," Cpt. Bufford said. The FAA said Whitlow took off from Sherwood early on Wednesday. "He does live in one of the residences," Cpt. Bufford said. The small one engine plane landed in the back-yard of a home on Hickory Hills Drive next to a pond. "It's not in the pond but right next to the pond. It went and I'm guessing about 100 feet that's normal in a case like this," Cpt. Bufford said. The National Transportation Safety Board will pick up on the investigation Thursday morning. "Our detectives set up for parts of the plane, set up evidence numbers and marked with paint where they are at. We've more less set up the scene for the NTSB for when they arrive," Cpt. Bufford said. Detectives said it's always tough when someone loses their life. "It's horrible. You know it's hard on the family but it's also hard on the first responders we come out and we see these things and we all have family and friends and it's hard. It's hard," Cpt. Bufford said. 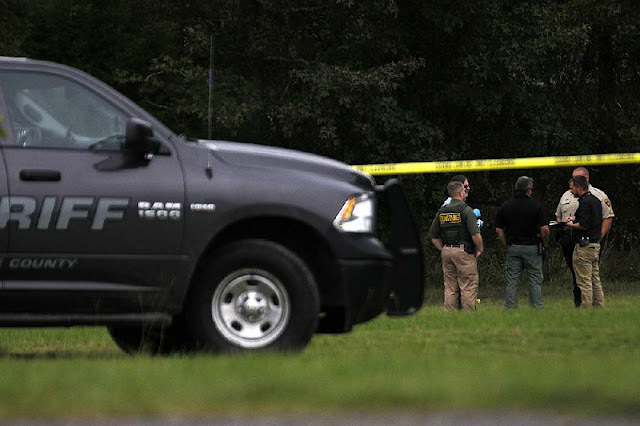 Thursday, detectives from NTSB will lead the investigation and try to determine exactly how the plane crashed. A small plane crashed in the backyard of an Austin residence, killing its pilot, authorities said Wednesday. Reagan Whitlow, 45, was the single-engine plane's sole occupant. Lonoke County sheriff's office Capt. David Bufford said Whitlow lived in the neighborhood where the crash took place, though it was unclear if he was the plane's owner. Bufford said authorities began receiving 911 calls about 2:40 p.m. Wednesday about a small plane that had crashed. 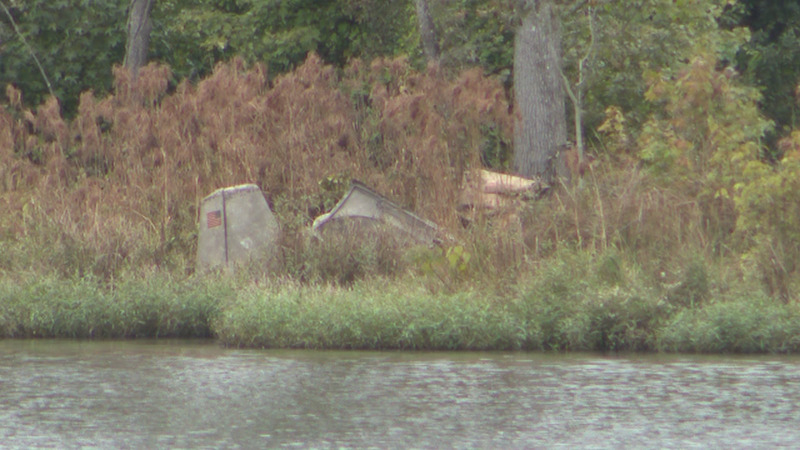 Upon arriving at the crash site, he could see where the plane had skidded after landing, ending up near the shore of Rick Lake behind the home. "You could see it hit, boom, and it went probably about 100 feet," Bufford said. The plane, which he said had apparently caught fire in the crash, had sustained such damage that Bufford was not sure what kind of aircraft it was. "I can't even tell you. ... It's burned up," he said. 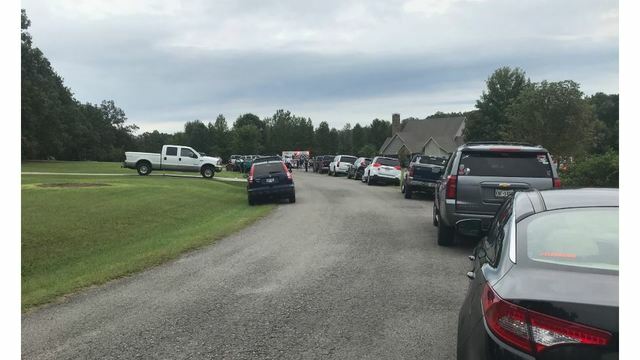 Officers from Bufford's department, the Federal Aviation Administration, the Magness township constable's office and the Ward Fire Department all responded to the scene. Three firetrucks were still at the site roughly two hours after the first reports of the crash. Little information was available about the cause of the crash at the scene. Authorities said that the National Transportation Safety Board typically investigates these types of events and would likely arrive today to assess the site. The Lonoke County sheriff's office responds to one or two plane crashes each year, but typically the planes are crop-dusters, Bufford said. The greenhouse where the crash took place is at the end of a winding, semirural road, where homes with coiling driveways sit in thick stands of trees. 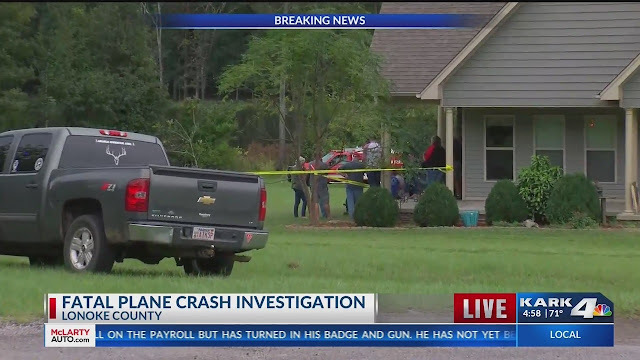 Authorities had closed the property and the scene of the crash to reporters, though about a dozen people -- some of whom were said to be family members of the pilot -- were crowded onto the residence's porch overlooking the backyard. No debris was visible from the street. Through an employee of the Magness township constable's office, an FAA investigator at the scene declined to comment. LONOKE COUNTY, Ark.-A man is dead after a plane he was flying crashed in Lonoke County. 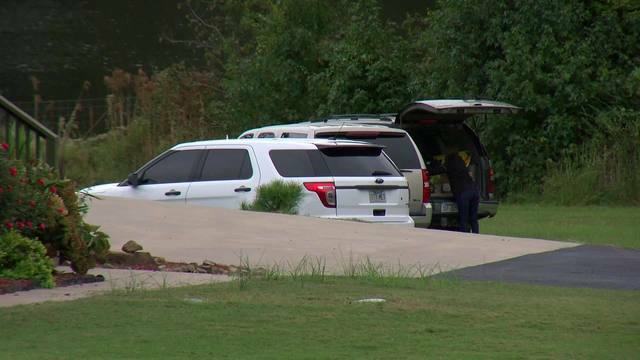 The Sheriff's office confirmed the pilot, 45 year-old Reagan Whitlow was a retired Lt. Colonel from the Air Force. Authorities said Whitlow was flying the single engine plane out of Sherwood. It caught fire and landed in a backyard near a pond. The Ward Fire Department responded and put out the flames. The Lonoke County Sheriff's Office said it's always tough when someone loses a life. "It's horrible. You know it's hard on the family but it's also hard on the first responders we come out and we see these things and we all have family and friends and it's hard. It's hard," Cpt. David Bufford said.